Find out which tools every home-cook should have. To make your kitchen an enjoyable, easy place to work, make sure your tools and ingredients are handy, your sink is cleared out and your work surfaces are clean. Like any good workspace, your kitchen needs good tools. Those butcher blocks full of knives look nice on your counter, but you really only need three: a serrated knife, a 9- to 10-inch-long chef’s knife and a paring knife are good basics. 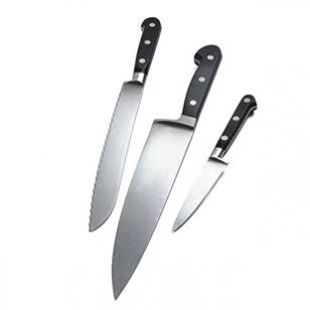 Knives are one thing you don’t want to buy without holding first; they should feel natural in your hand. Buy the best knives you can afford—they will last for many years. Two cutting boards are ideal—one for raw proteins and one for cooked foods and produce—to avoid cross-contamination when cooking. 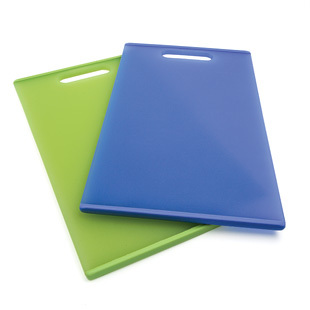 Cutting boards made of polyethylene plastic are inexpensive, durable and easy to clean. 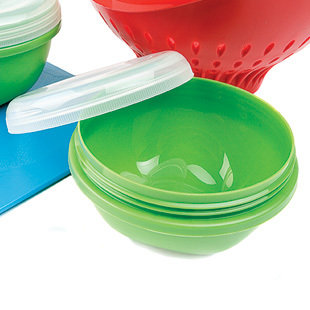 Look for ones that are dishwasher-safe. 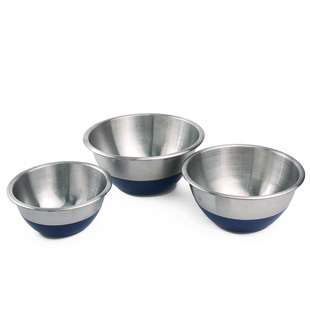 A set of 3 stainless-steel mixing bowls that fit inside one another is a space saver. They are inexpensive, versatile and will last a lifetime. One full set of measuring spoons and two sets of measuring cups. 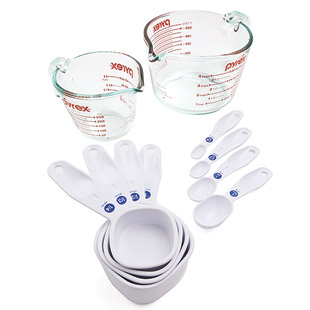 One set should be for measuring liquids—those measuring cups usually have handles and pour spouts—and one set for measuring dry ingredients that can be leveled off. Nonstick skillets are great tools for beginner cooks but remember never to use metal utensils on nonstick pans—scratched surfaces negatively affect their nonstick surfaces. You’ll want both small and large nonstick skillets. 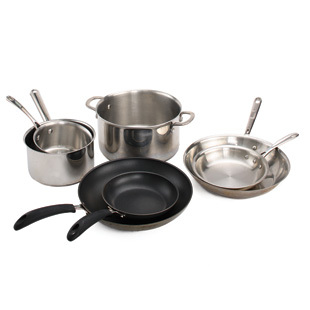 You’ll also want small and large stainless-steel skillets, as well as small and large saucepans and a stockpot. 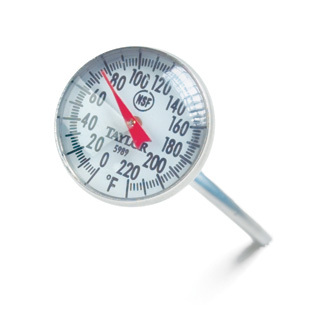 Found in nearly every supermarket meat section or with other kitchen gadgets, an instant-read thermometer is essential for making sure meat and poultry are safely cooked and done to your preference. 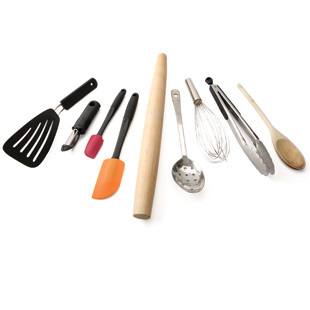 Heat-resistant nonstick spatulas, vegetable peeler, rolling pin, meat mallet, a slotted spoon for draining, a wire whisk, tongs, a few wooden spoons, ladle. 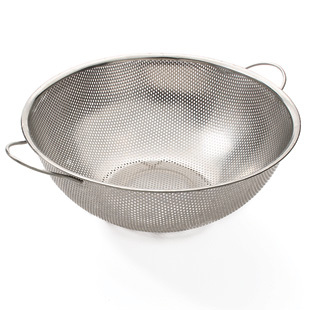 One that has feet and is the right size for your family (think about how much pasta you need to drain at once). Also make sure it will fit in your sink. 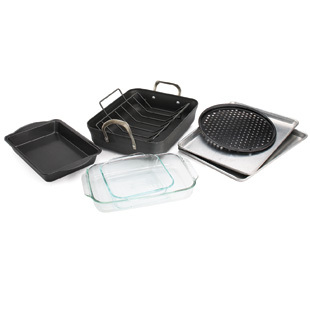 At least one 9-by-13-inch baking pan, roasting pan and rack, pizza pan, baking sheets, 3-quart rectangular and 8-inch-square glass baking dishes. Storage containers aren’t just for storing leftovers, but any unused ingredients that come from making dinner. 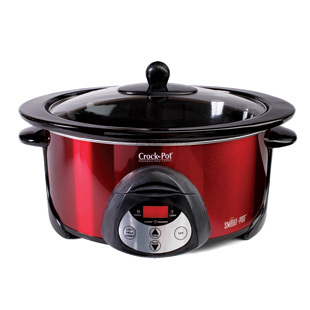 Also referred to as a crock pot. Buy one that’s the right size for your family. A great tool for someone on the go: a lot of recipes can be thrown together in minutes before work and are ready to eat when you get home. 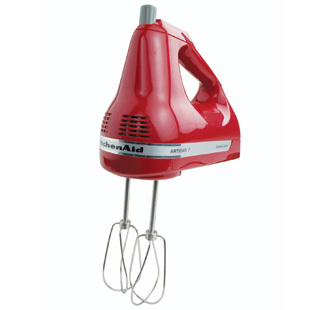 Baked goods are so much easier with a hand mixer. You can get one for about $15. 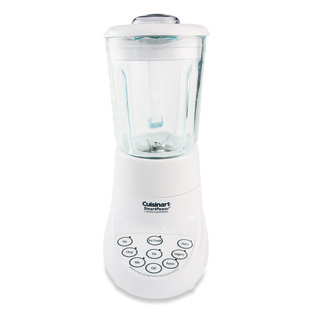 Handy for blending up a smoothie or salad dressing.